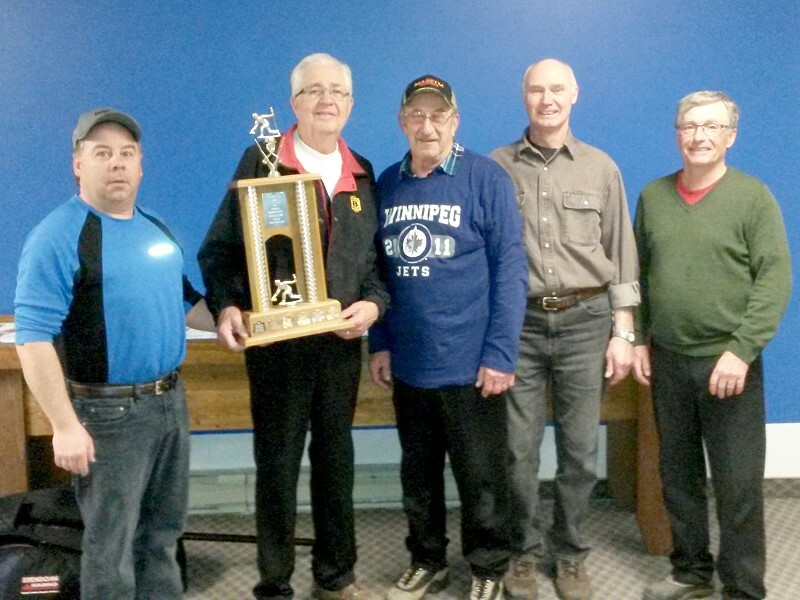 Results from the Swan River Men’s bonspiel that was held on March 25-27 2016. The winner of the SV Co-op/ SV Credit Union sponsored first event was Carter Watkins rink. 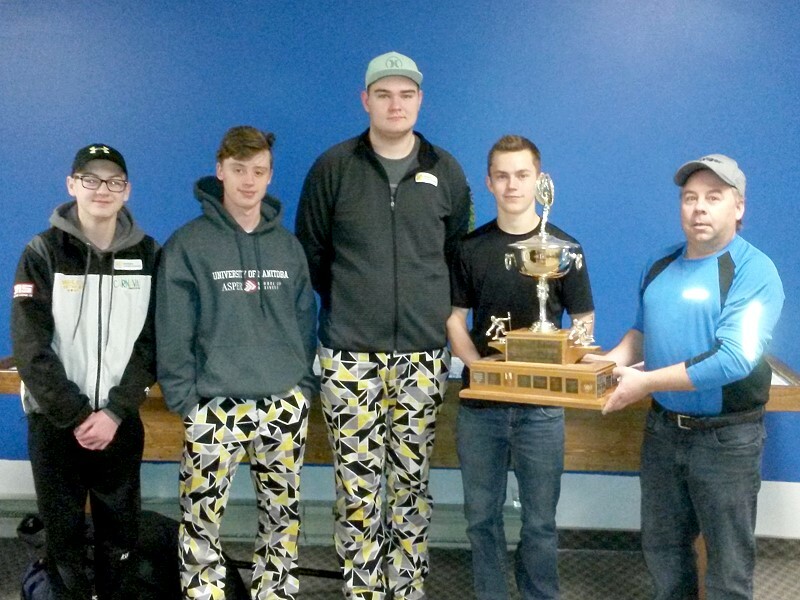 Pictured Above: (R to L) Presenting Kelly Tibble, Carter Watkins (skip), Brad VanAchte (third), Myles Hunker (second), Ryan Wiebe (lead). 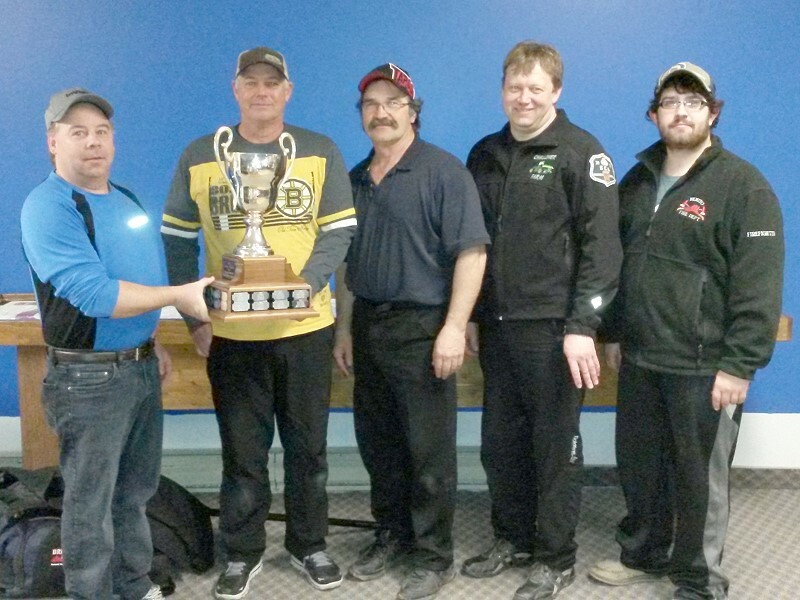 Winner of the Richardson Pioneer/Sauder Trucking sponsored second event was the Rick Kinaschuk rink. 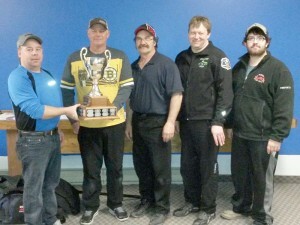 Pictured Right: (L to R) Presenting Kelly Tibble, Rick Kinaschuk (skip), Byron Zbirun (third), Ken Newell (second), Alexander Riehl (lead). Winner of the Atkinson Sports Excellence/Westwood Inn sponsored third event was the Bert Jenner rink. Pictured Left: (L to R) Presenting Kelly Tibble, Bert Jenner (skip), Orest Nimetz (third), Newt Duncalfe (second), Dennis Bowles (lead). Winner of the “Shoot to Win” was Todd Trevellyan.